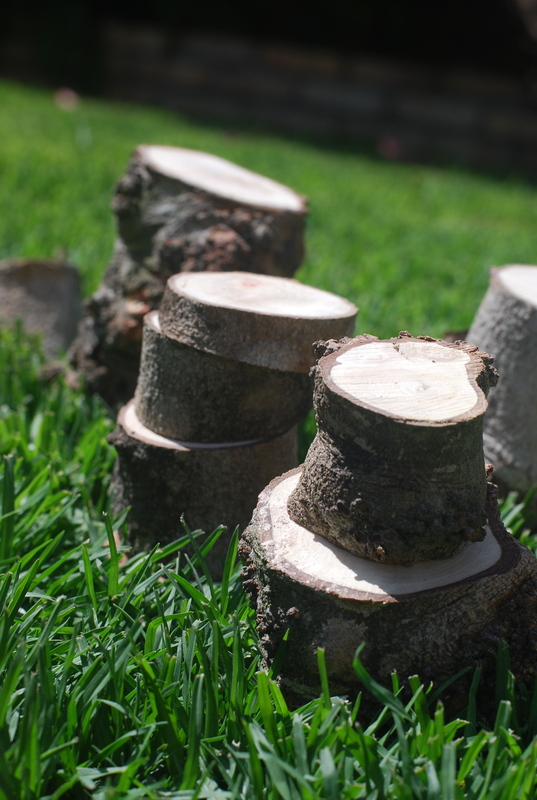 So I’ve had it in my mind to buy Ellie some tree blocks for her birthday this year. I had seen a few sets online and although they were rather pricey, I loved the look and thought of her building with earthy tree blocks and so I thought I would buy them. Something kept me from doing it though. And then our neighbor’s tree lost a large branch in a wind storm a few weeks ago. 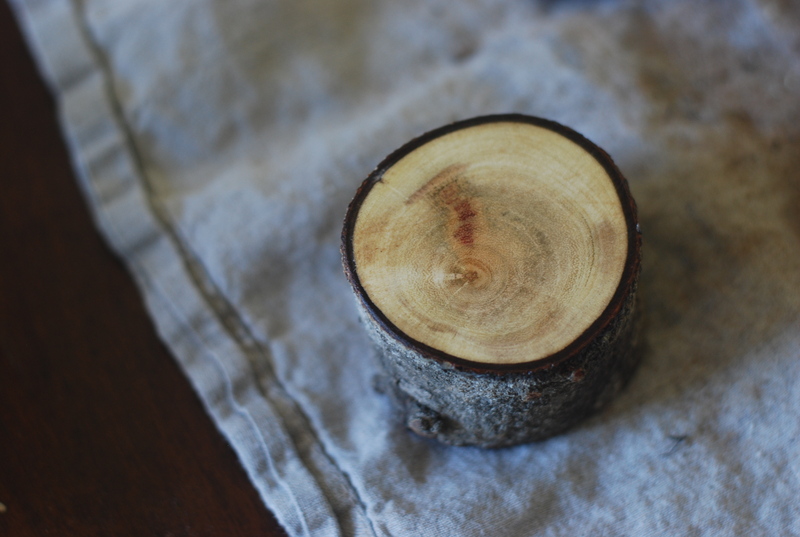 The branch had the most beautiful bark and I had it in my head to maybe make our own. I had my Dad drag the large branch over to our yard and there it sat for another week. We rent our house and with it comes a weekly gardening service to trim trees and mow the lawn. Well, the gardeners were here a couple of weeks ago and decided they would cut that large branch down to smaller chunks and take it away with them. I stopped them before they loaded the smaller logs up in their truck. “Wait, I’m saving that!” I ran out to them! I think they thought I was nuts but I was thankful they cut it into log sized pieces. 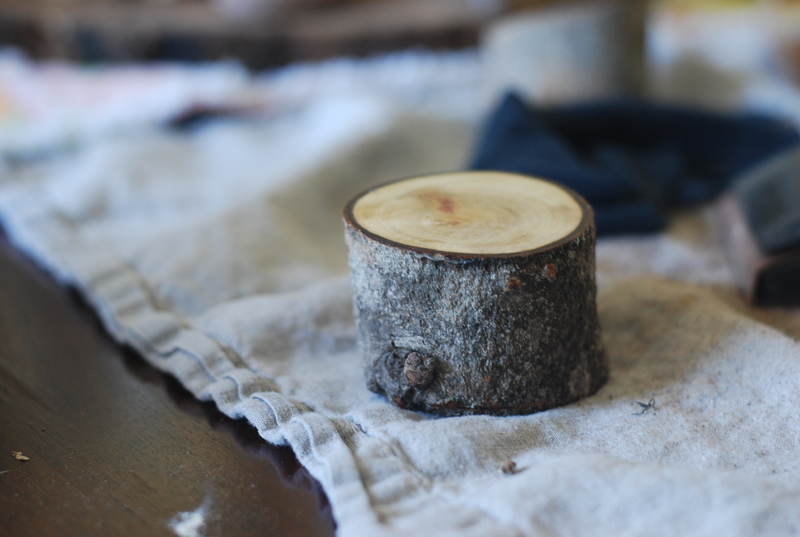 Well, that very same week, I stumbled upon this post by Dawn about making your own tree blocks and it really inspired me that I could do this and make Ellie her own tree blocks. 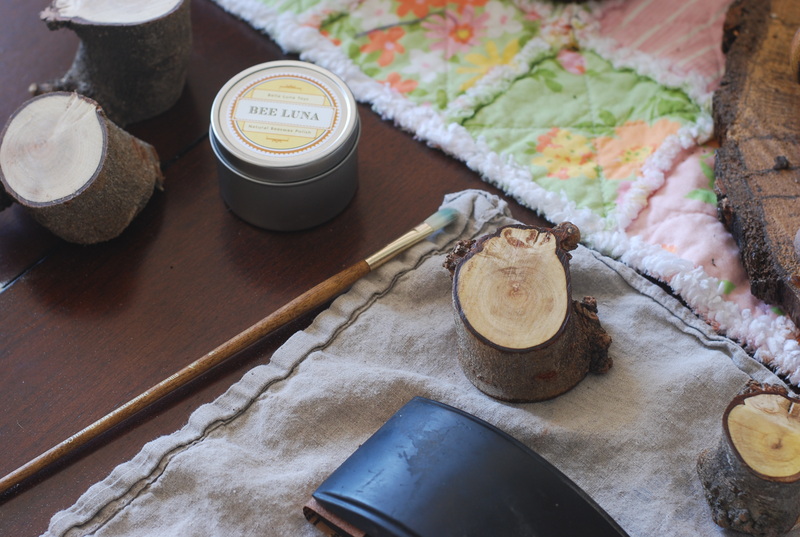 With some help from my strong husband and his wood working tools, we worked together to cut up some smaller block like sizes for Ellie and then I spent the next day or so, sanding the edges on each piece and finishing them with a bit of beeswax and jojoba oil to make them shine. They turned out lovely and it was almost therapeutic, sanding and waxing into the wee hours of the night after Ellie went to sleep. 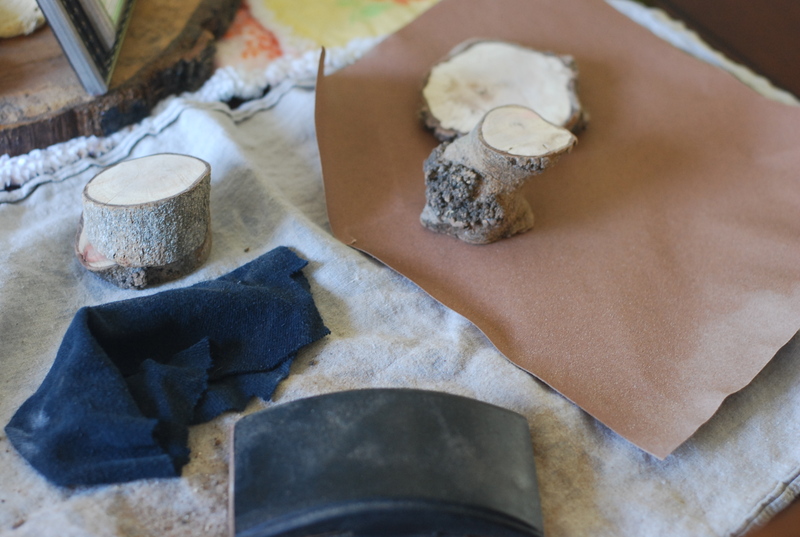 I saved myself a lot of money by making these myself and even though it was a process, it was a fulfilling process, that I thoroughly enjoyed. (As you can see, I couldn’t wait for Ellie’s birthday to give them to her). 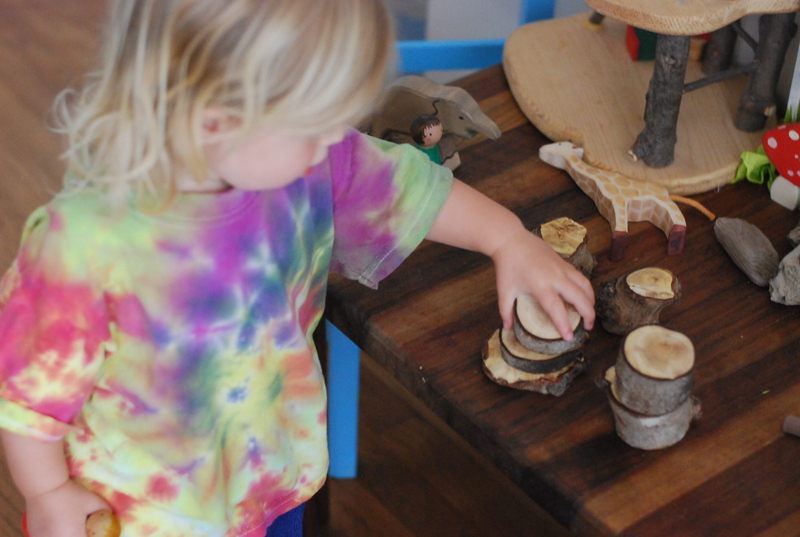 This entry was posted in making and tagged diy tree blocks, making toys, natural blocks, tree blocks. Bookmark the permalink. ← Weekending: Summer Solstice Edition! These are so great. They’ve been on my wish list for ages for Avery and soon Elias, but I have a list a mile long ahead of this. So great that you made them, Summer! Another great Summer idea. So neat. You are a wonderful example to others.